Michael Kenney and unidentified woman. · One Book. One Author. One Hour. Michael Kenney and unidentified woman. Brian Lamb, 1941-, “Michael Kenney and unidentified woman.,” One Book. One Author. 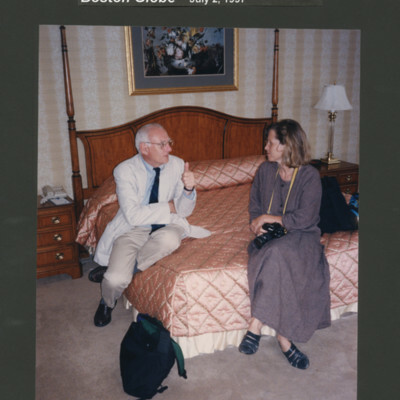 One Hour., accessed April 19, 2019, http://booknotes.gmu.edu/items/show/2982. 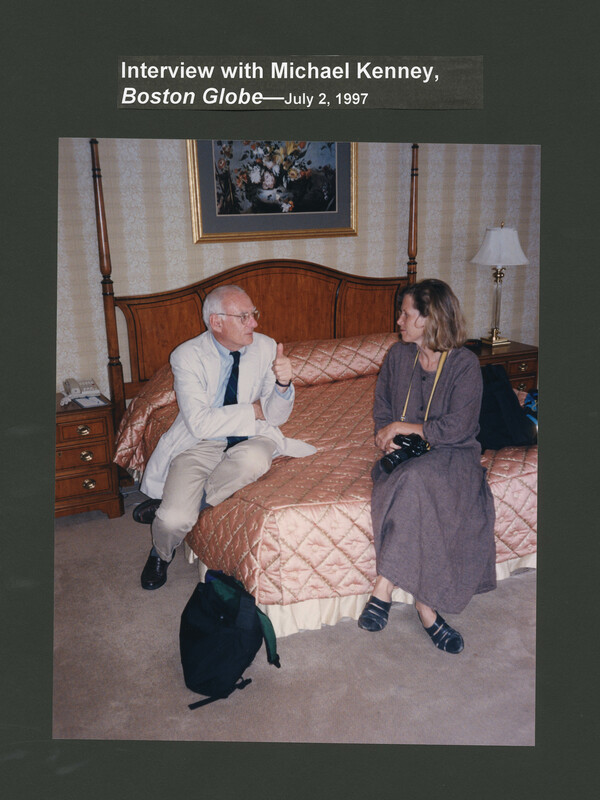 Boston Globe Living/Arts editor Michael Kenney with an unidentified woman, likely a Globe photographer, in Brian Lamb's Lennox Hotel room. Kenney interviewed Brian Lamb about his first "Booknotes" book.